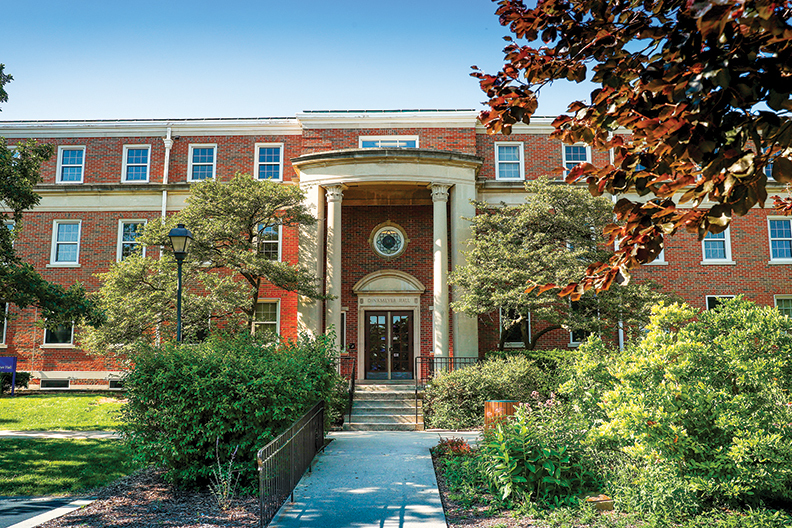 Elmhurst offers a variety of housing options, from traditional residence hall rooms to apartments and houses. If you live on campus as a first-year student, you will live in a residence hall with a roommate. As a first-year student, you can request a roommate by mutually listing each other on the housing application. 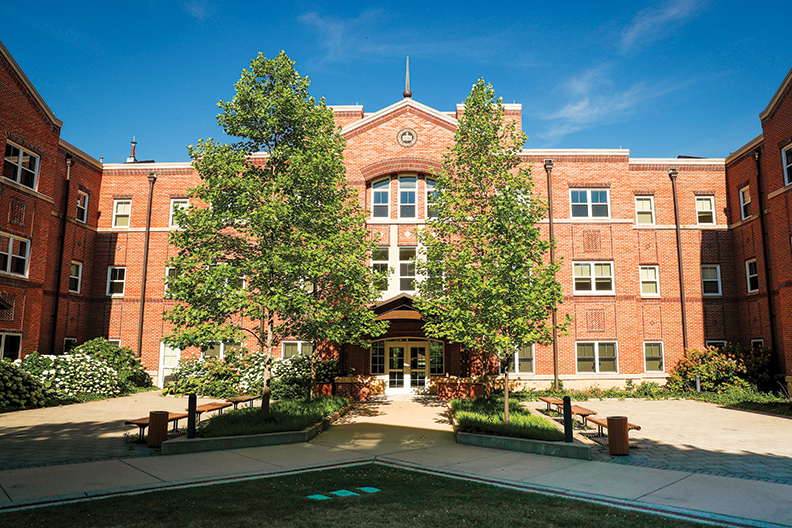 Transfer students may request housing in residence halls, campus apartments or houses. 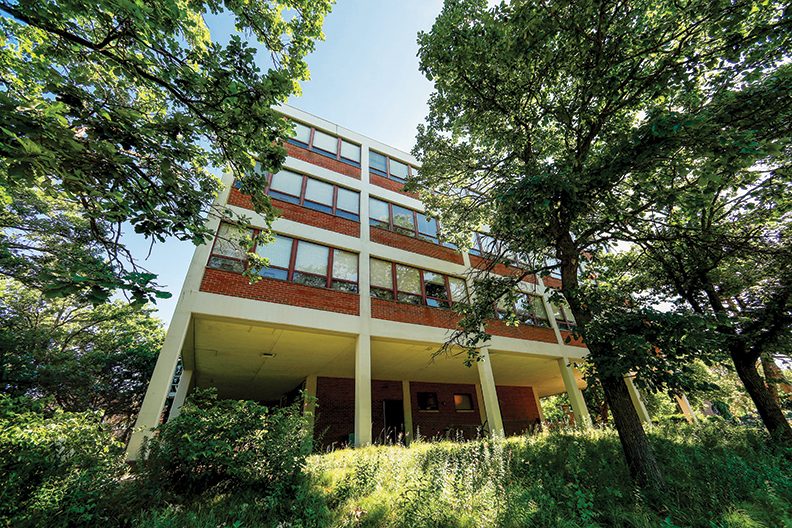 This air-conditioned residence hall features double and single rooms arranged in small communities. Soon to be the home of the Honors Living Learning Community. Overlooking the College Mall, Dinkmeyer features suite-style rooms and a large central lounge. 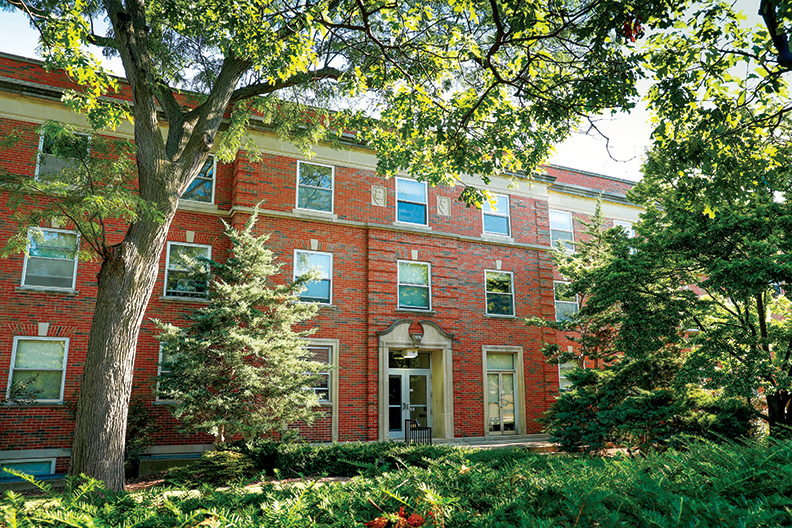 Overlooking the College Mall, Niebuhr offers housing for first-year students in double rooms. 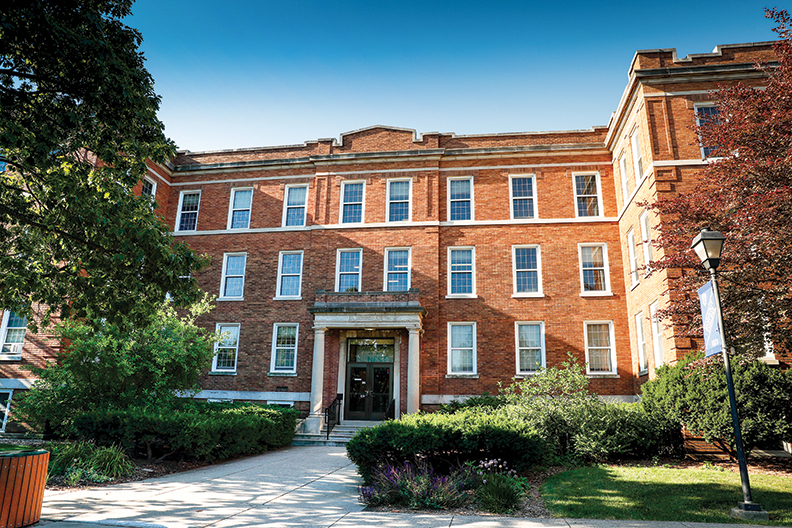 The College’s oldest and largest residence hall, Schick features single rooms as well as doubles, floor lounges and laundry facilities on each floor. Soon to be the home of the True Colors Community. Fully air conditioned, Stanger boasts large gathering spaces and kitchenettes on each floor. The College’s newest residence hall, this LEED certified building features spacious suites, new furnishings and air conditioning. The 12 College owned houses and two apartment complexes offer a more independent experience in close proximity to the center of campus. 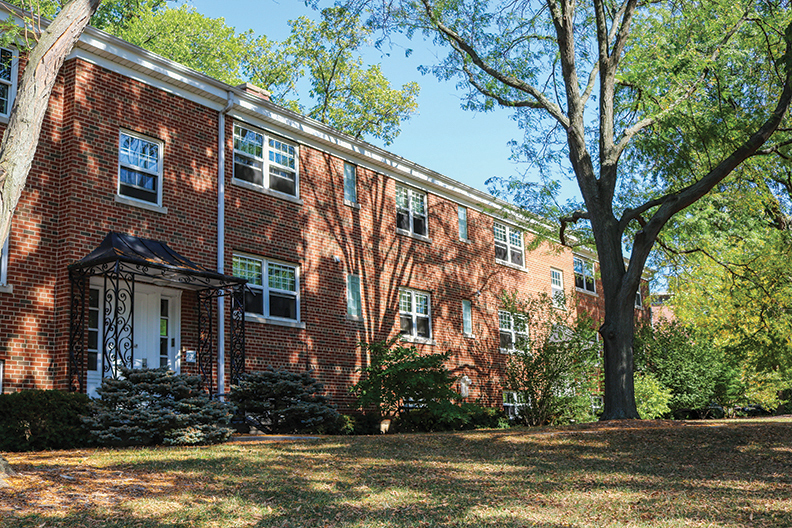 Elm Park, located on the south side of campus features one, two and three bedroom apartments with fully equipped kitchens, internet, cable and common laundry facilities. 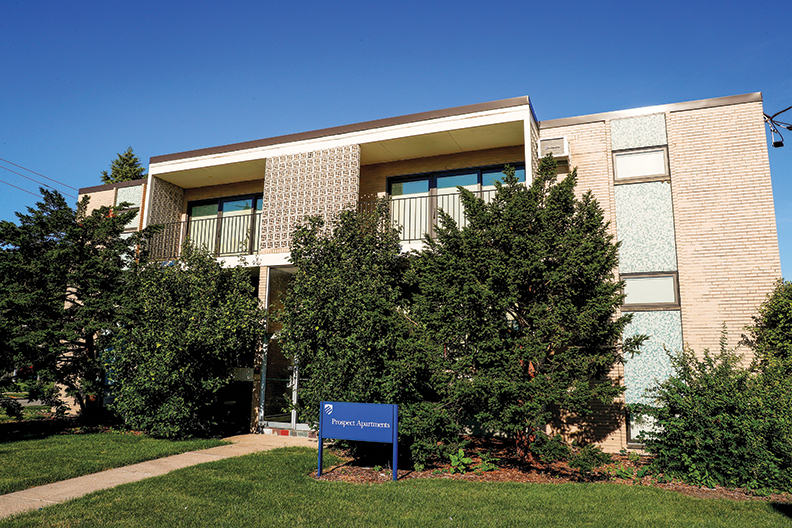 This community houses 28 students in two and three bedroom apartments on the eastern side of campus. 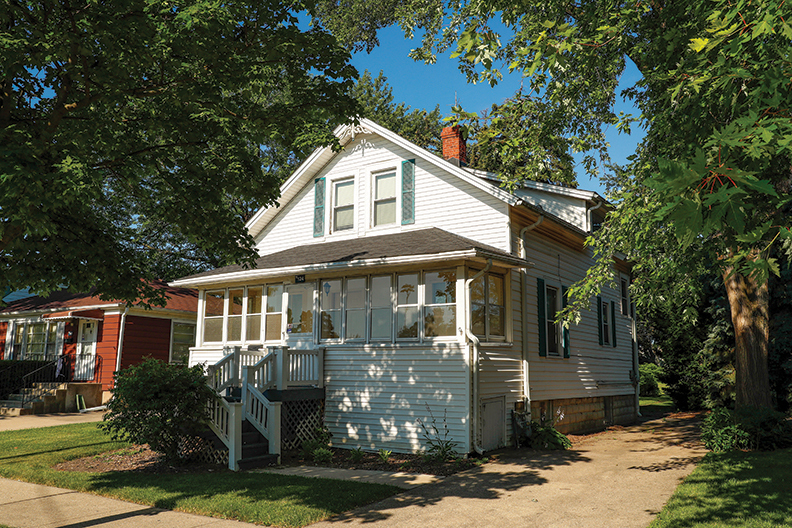 Twelve houses surrounding the center of campus offer additional independence for juniors and seniors. 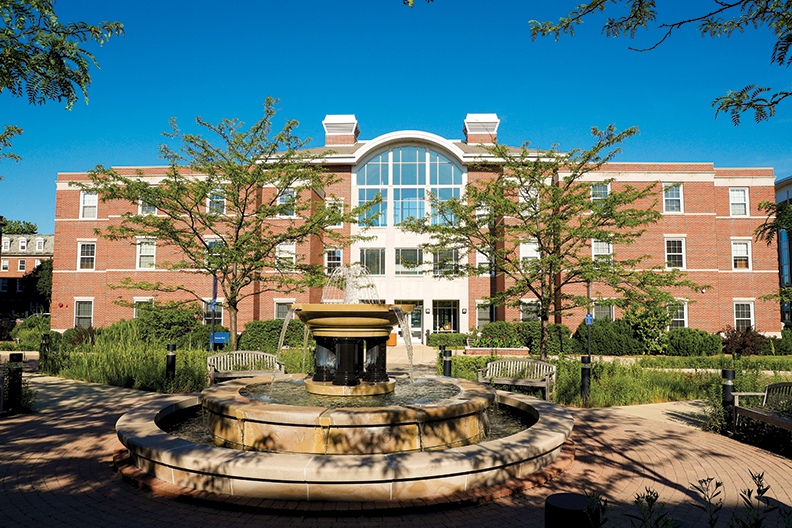 If you are spending the summer at Elmhurst for classes, on-campus classes, research or an internship, you could qualify for summer housing.